Transmission of tonight's Late Late show was disrupted for a time after an incident in which a man gained access to the set of the show. 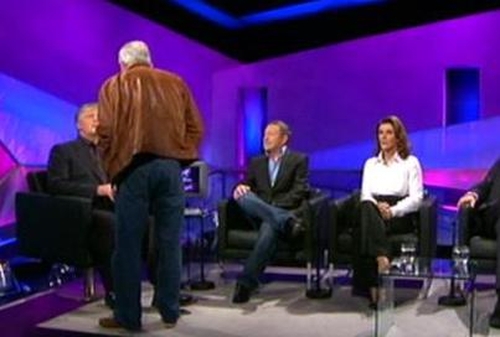 The man shouted comments at presenter Pat Kenny before being removed by security staff. The man was arrested by gardaí and taken into custody. The programme resumed after a short time.